The Wildlfe Garden is looking Wonderful ! mucky planting some Broad beans and finding worms! were very keen to help. they had a fantastic afternoon. 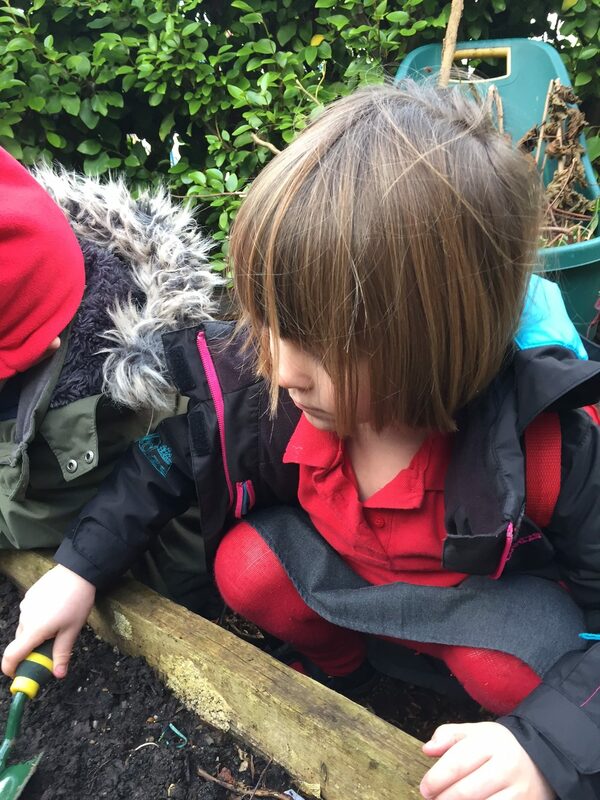 The Reception children now have a new vegetable bed. 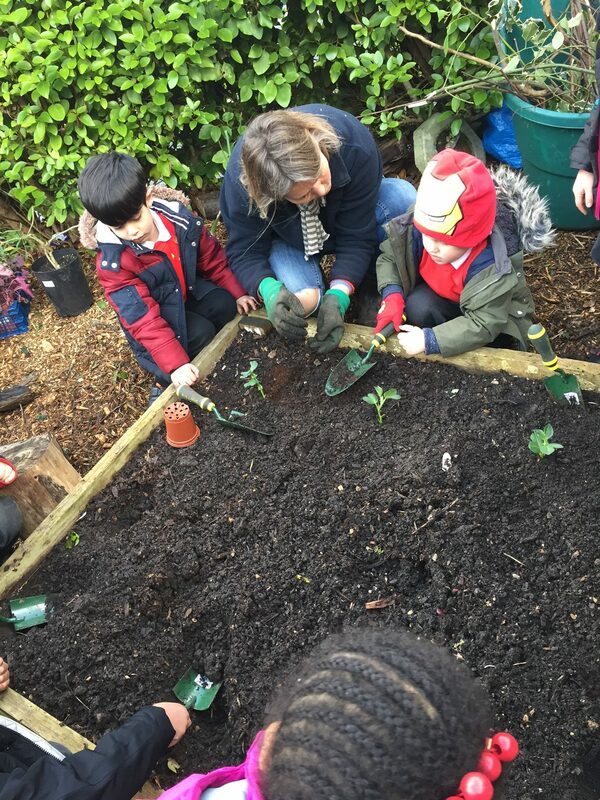 Here they are planting broad beans, onions and garlic.